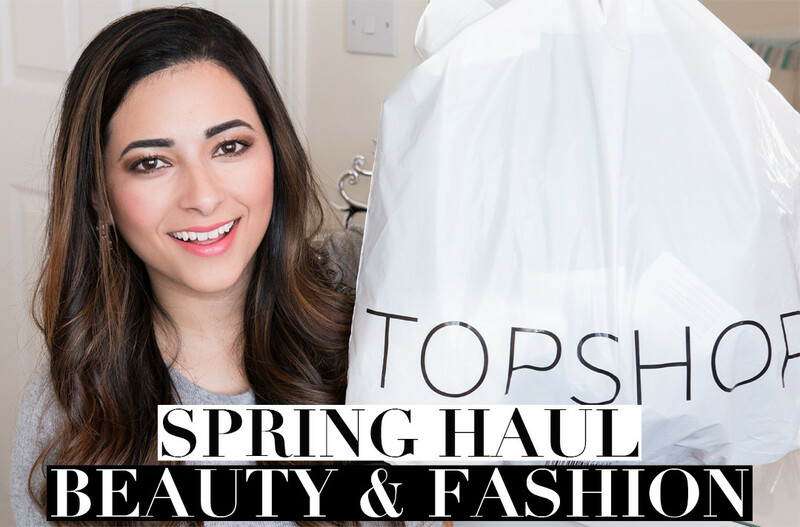 It’s Spring beauty and fashion haul time! It’s been a long time since I bought anything from myself, so a couple of days ago I went out in town and treated myself to a mini-shopping spree! It felt really nice to think about my wants and needs and also to have some ‘me time‘, which is not something I have very often these days with an 11 month old baby. My beauty and fashion haul consisted of Topshop, New Look, L’Oreal and Rimmel, with a few essentials and things I have needed for a long time, and some new launches which I liked the look of and convinced myself it would be rude not to get them! You can watch my haul video below or on this link, and if you like the look of anything I bought, there are links to everything on the bottom of this post! Cutey Charm Bracelet GIVEAWAY WINNER! I personally love the Leigh jeans also! They’re so comfortable and don’t lose their shape after a whole day of wearing them. The Jamie jeans are also nice, but feel a tad more like leggings.